From downturn fears to investing for the future, law firm leaders give their perspective on the challenges facing elite global firms. To return to the Global 100 menu, please click here. 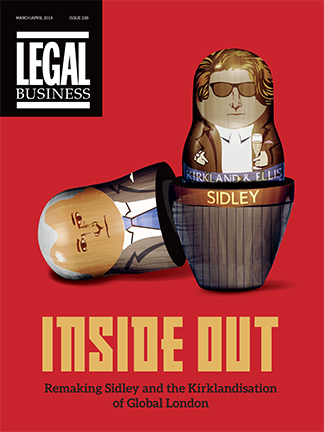 Merger talks, management reshuffles and structural changes – here is our recap of the stories that defined the global legal market during the past 12 months. Global 100 firms continued to pile into South Korea as White & Case launched in Seoul in August, a move quickly followed by Allen & Overy a month later. In January 2016 Ashurst said its plans to launch had been put on ice following the departure of Tokyo head John McClenahan to King & Spalding. In February, Latham & Watkins revealed it had signed a lease on a property in Seoul and submitted an application for a foreign legal consultant office. Despite slowdown in China’s economy, Global 100 firms’ interest in Asia shows no sign of winding down with significant moves following another active year. China’s slowdown has been a focal point of international headlines across the past 12 months as its tumultuous 2015 spilled into 2016. For Dentons, which took on 4,000 China lawyers at the start of 2015 through its landmark combination with Dacheng Law Offices, China’s faltering couldn’t have been more ill-timed. However, Dentons’ exposure in Asia is shared by many Global 100 firms and the attitude is certainly that it is a marathon not a sprint – growth for many firms in the world’s second-largest economy and across Asia shows no signs of abating. Anyway, a slowdown in China is a relative term, with many law firms still expanding.